Endovenous Ablation uses heat to seal the damaged vein so that no more blood is allowed to pass through the vessel. Heat is administered by Radiofrequency or Laser under the direct guidance by ultrasound. Both radiofrequency and laser have been shown to have similar outcomes in trials. 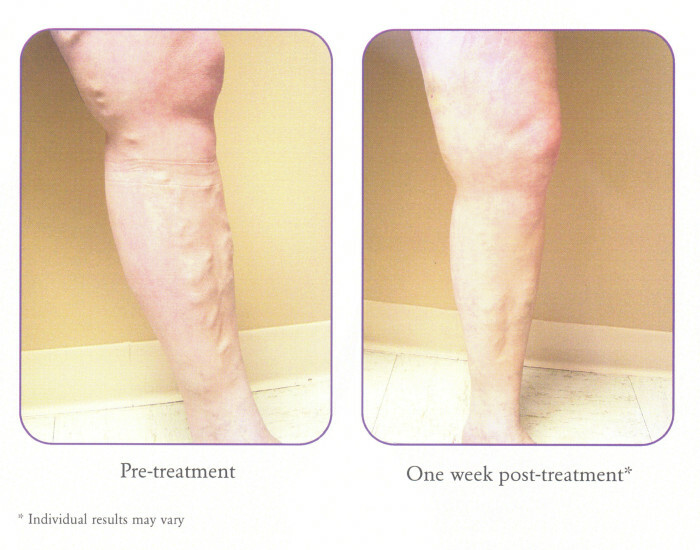 Our practice utilizes the Venefit System which is a radiofrequency device. An ablation may take from 30 to 90 minutes depending on the location and severity of the damaged vein. 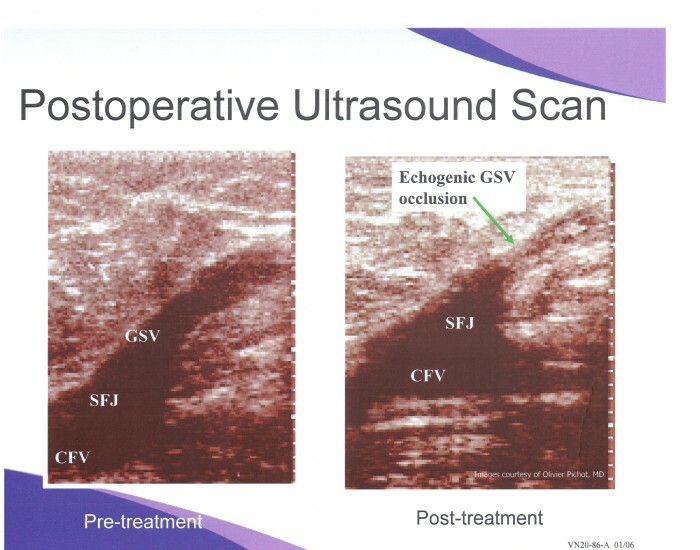 An ultrasound is performed at the time of the procedure to identify the damaged area. The skin is numbed with a small amount of anesthetic and a small puncture is performed. A tiny catheter (tube) is passed into the vein and monitored by ultrasound for proper placement. The tube is then slowly withdrawn while heat is produced at the tip of the catheter causing the vessel to be ablated (sealed). After the catheter is removed from the body, pressure is held at the site by a compression dressing. The ablated is reabsorbed by the body over time.